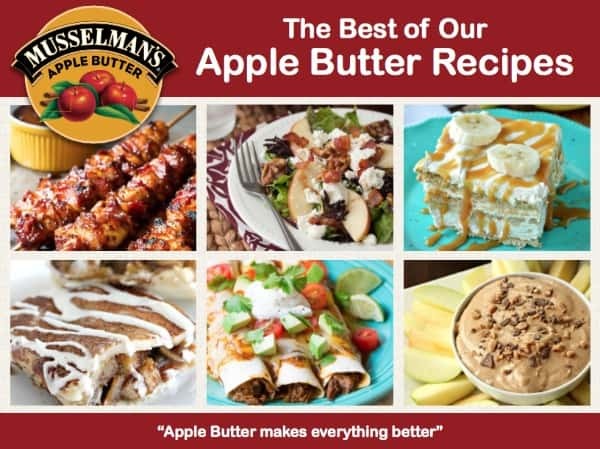 Try a few of these Apple Butter Recipes this fall. The sweet spread is the perfect compliment to so many sweet and savory dishes. *Musselman’s sponsored this post. As always though, all thoughts and opinions are 100% my own. 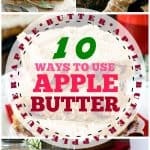 One of my favorite products to use during the fall month is apple butter. Who am I kidding? We usually have a jar of this amazing stuff in our fridge all year long. And a few unopened jars in the pantry. 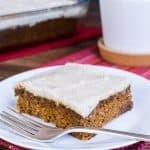 Having a pan of this Apple Butter Cake in the oven is a quick way to make your entire house smell amazing! 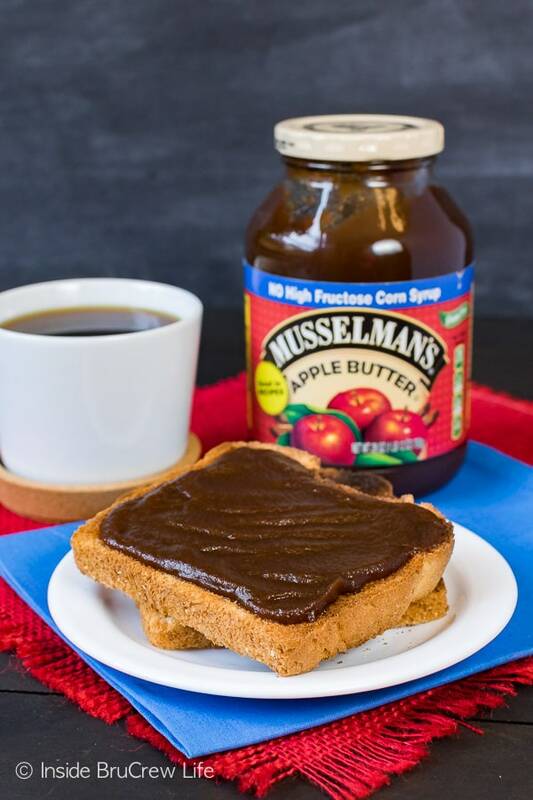 I grew up eating apple butter and toast for breakfast, and now I am proud to be able to work and promote the very same company I remember from my childhood. There are so many uses for apple butter. 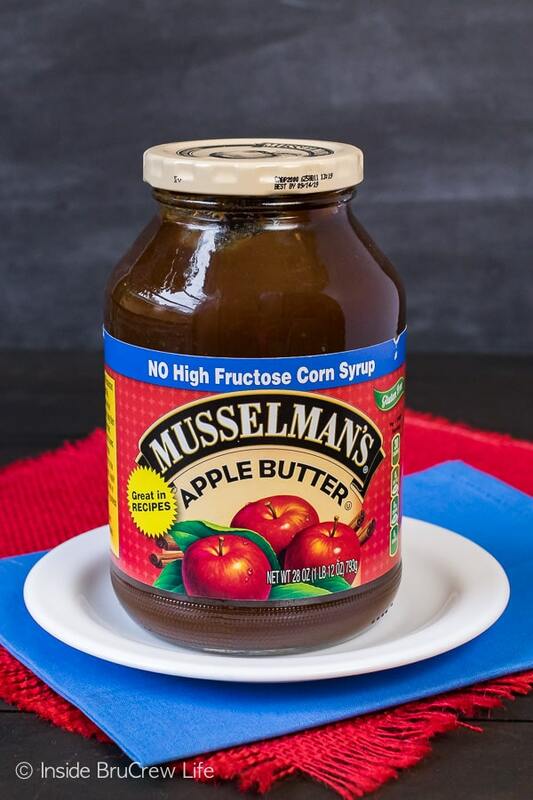 This fall I am partnering with Musselman’s to share some of my favorite apple butter recipes and their new e-recipe book. Go ahead and download their new Free E-Recipe Book HERE! There are quite a few delicious sounding recipes from some pretty talented bloggers included in this years e-book. You can find two of my previous recipes in this e-book. 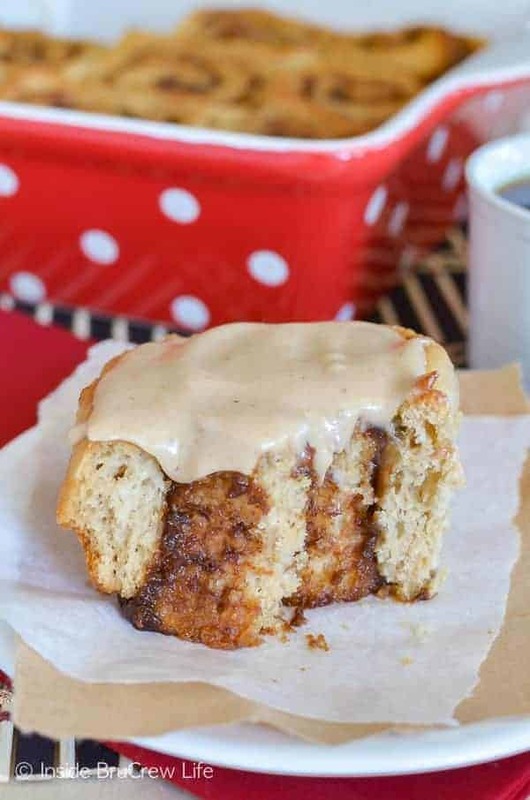 The first recipe is for these Apple Butter Cinnamon Rolls. Three times the apple butter goodness in these soft no-yeast rolls makes them so good. A warm gooey roll full of cinnamon sugar and apple butter is a very good breakfast idea. I mean just look at that center. 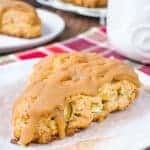 This is one of my all time favorite ways to use apple butter in baking. 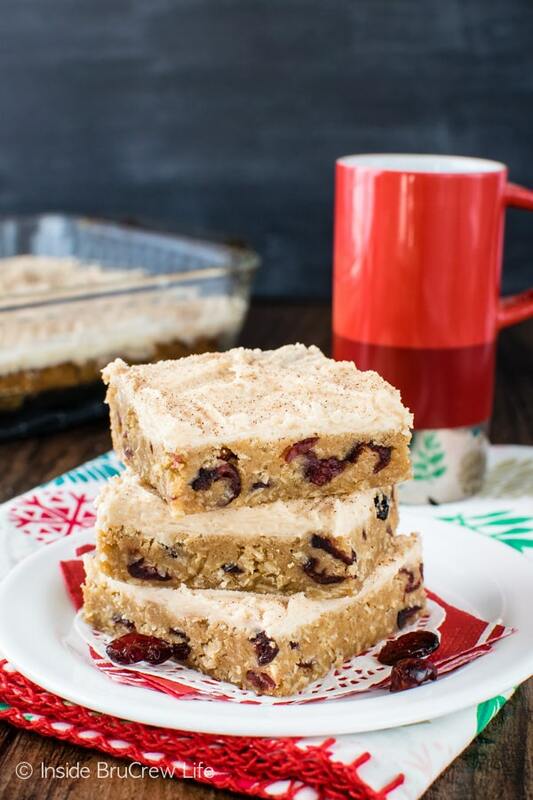 My other recipe in the e-book is for these Frosted Cranberry Apple Butter Bars. 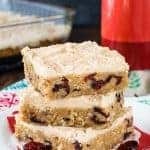 These sweet oatmeal bars loaded with cranberries and apple butter and topped with frosting would be a welcome change to your cookie trays this winter. Just saying. 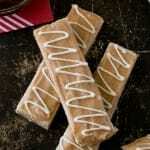 You will also find apple butter recipes for toast roll ups, apple fritter casserole, pizza, popcorn, and toffee apple dip. Plus, so many more apple butter uses. I suggest heading over there now to download the free e-recipe book. Then run to the store and buy a few jars of apple butter and get to work making each and every recipe.